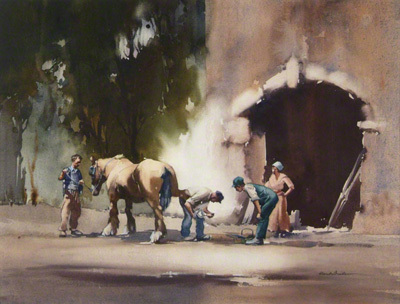 This water colour by Claude Buckle is a very good example of activity figure drawing. It shows the smithy at work and various other people playing different roles for example the owner, the horse handler and the various observers. Created in 1970.